Dateline Memphis...Original garage band The Gentrys will receive their long overdue Beale Street Brass Note in Memphis on Sept 7th, 2012. The award will be displayed on the historic Beale Street Brass Note Walk Of Fame. In attendance at the ceremony will be all seven original members who scored the million-selling song "Keep On Dancing." 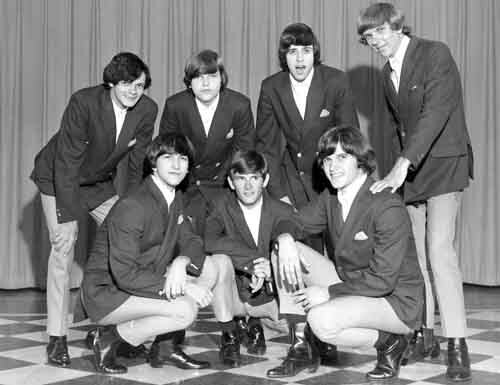 The song released on MGM Records reached the coveted number 4 position on the Billboard chart in October of 1965 and opened the door to national TV appearances on popular shows such as Shindig, Hullabaloo and Where The Action Is. The event is open to the public. For more information about the ceremony please see link The Gentrys Note. Dateline Atlanta...A Historical Marker for the Second Atlanta International Pop Festival will be unveiled at a Commemorative Event on Sept 14th & 15th, 2012 in Byron, GA. The Second Atlanta International Pop Festival was one of the largest rock festivals and took place July 3rd thru 5th, 1970. Although the First International Atlanta Pop Festival took place a year earlier and is often referred to when speaking of the two festivals, the commemoration event for the Historical Marker notes the second festival. Several popular Facebook fan pages are set-up for The Atlanta Pop Fest. 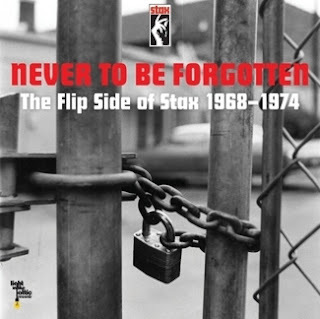 Dateline Los Angeles...Light In The Attic Records announced recently the release of a rare and collectible set of STAX Records 45 RPM singles titled "Never To Be Forgotten - The Flip Side Of STAX 1968-1974." Included in a well-packaged box set is an extensive 84 page booklet with never-seen before photos and interviews from STAX artists and company executives. This box set from the legendary label is a definite must for astute music lovers plus an important entry for the library of all record collectors. Limited supply available. See the "Never To Be Forgotten" promo video. Dateline London...Manna From Heaven is the very first biography of this gathering of musical talents, collectively known as Bread, that gave us such timeless hits as 'Make It With You', 'Everything I Own', 'If' and 'The Guitar Man'. 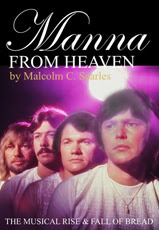 Researched in detail, including exclusive interviews with founding member Robb Royer, along with friends, family and former musical associates of the band, Manna From Heaven reveals the story behind the band members' formative years, their coming together, the rise of Bread, and the subsequent break-up and the messy lawsuits that were to dog the band in later years. Also featured are exclusive insights into their successful 1990s reunion, undertaken a few years before the sad passing of Jimmy Griffin, followed shortly afterwards by both Botts and Knechtel. Author: Searles, Malcolm. For further information see video promo link.